Click on the photos for larger shots and explanations. 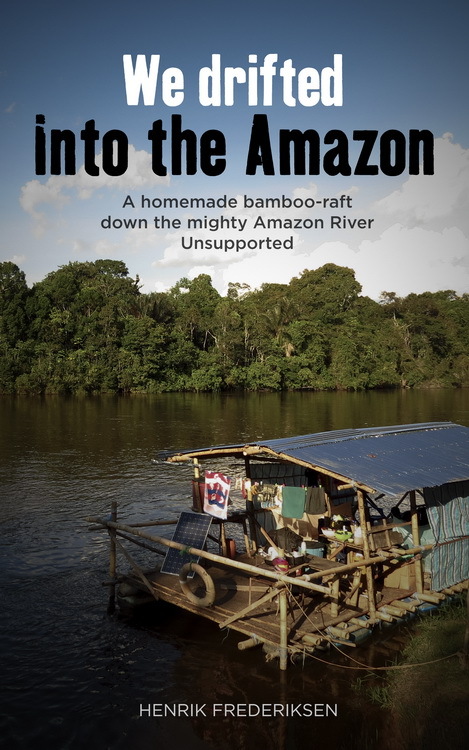 We risked dangerous collisions with tree-trunks and overhanging trees, when the wind or the current would push the raft close to the jungle river-shore. Indigenous communities and their cute, curious kids. The vessel to the right is a dug-out canoe, called a “casco” in river-lingo. The local indigenous people would come visit us; to talk, to look and to trade. In the shallow areas of the Napo, the locals could navigate their “cascos” with a long stick. A floating home, made for adventure! Jaime and Estefanie, our local friends. Many beautiful butterflies visiting our raft.